I have been owned and loved by Bulldogs for the past 15 years. I would say that our dogs live in the house with us, but in reality, WE live in the house with THEM! My passion and love for the breed truly began with the addition of Rosie into our lives. Rosie was named by my daughter for her beautiful red color. Rosie immediately stole our hearts and our lives, and nothing would ever be the same again. Though she didn’t turn out to be the “show dog” that I had aspired her to be, she was the Queen of our home. Her favorite thing to do was to go for rides in “her” van… especially taking my daughter to and from school and fighting her for her seat in the back. 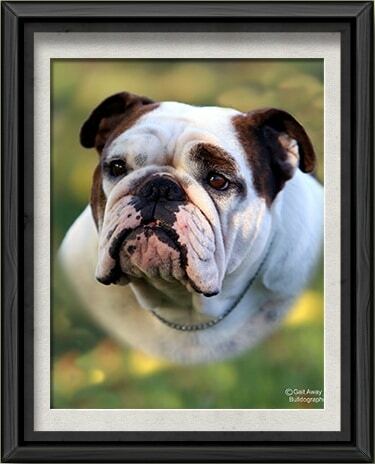 Life took many twists and turns, as it so often does, but I always had my Bulldogs. It wasn’t until 2013 that my desire to show finally reached fruition, with the addition of Gucci to our lives. 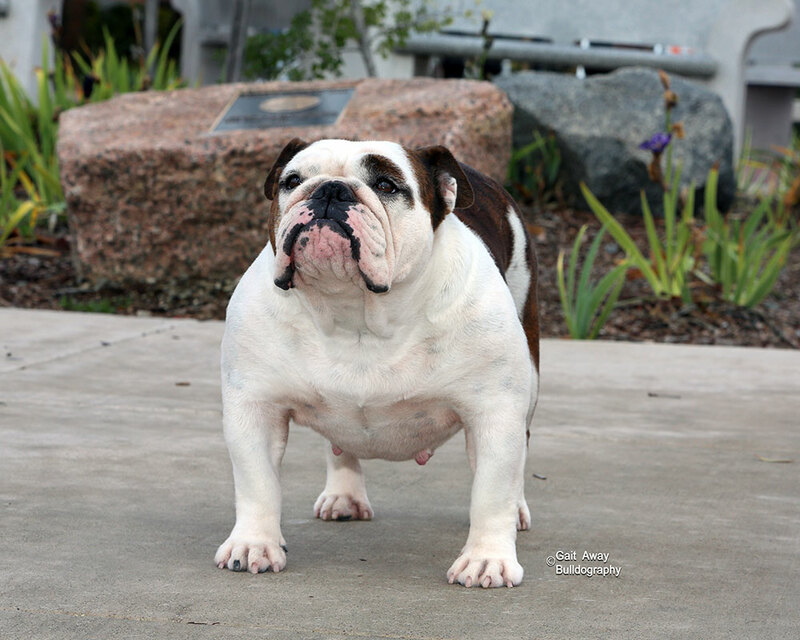 Majestic Gorgeous Gucci BN RN CGC, is co-owned by myself and Shalisa Neely of Majestic Bulldogs. 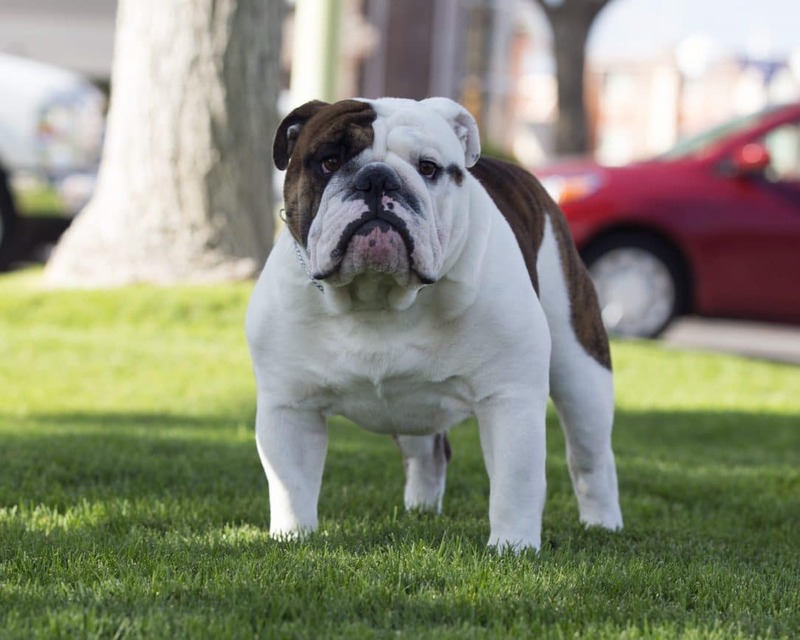 Gucci is a very energetic Bulldog, full of life and full of love. On a whim I took Gucci with me to obedience training one day, thinking I would like to get her Canine Good Citizen (CGC) title. 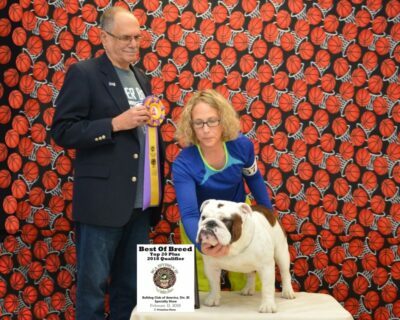 Contrary to popular belief, Bulldogs are incredibly smart and quite “trainable.” In the year and a half that I have had Gucci, she has earned her Canine Good Citizen (CGC), Rally Novice (RN), and Beginner Novice (BN) titles, and is working towards her Companion Dog (CD) title, as well as showing in the conformation ring towards her Championship. My “Up and Coming” is my boy Guinness, Majestic Agape Guinness Extra Stout. 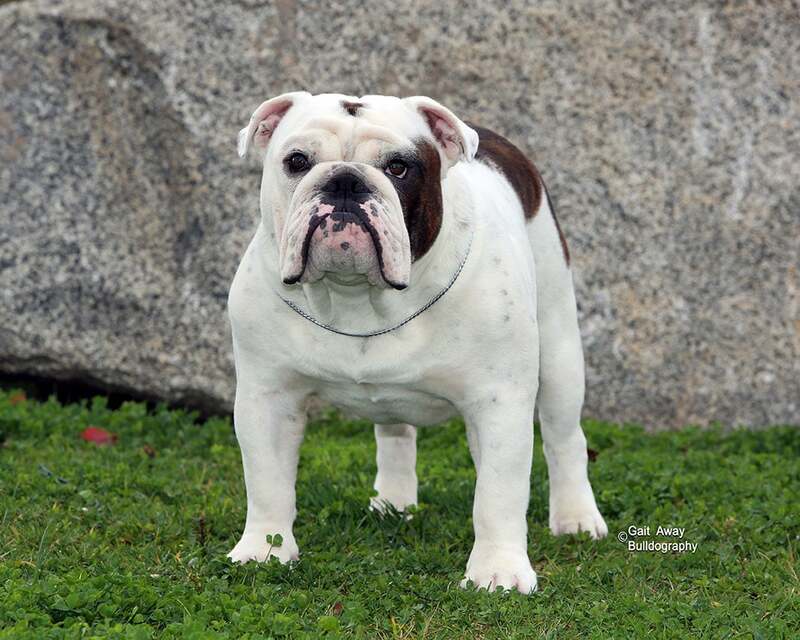 In addition to her showing career, Gucci is an excellent mommy, and has given me this beautiful boy who is currently showing towards his Championship, as well as training in obedience. More about Guinness on his page! 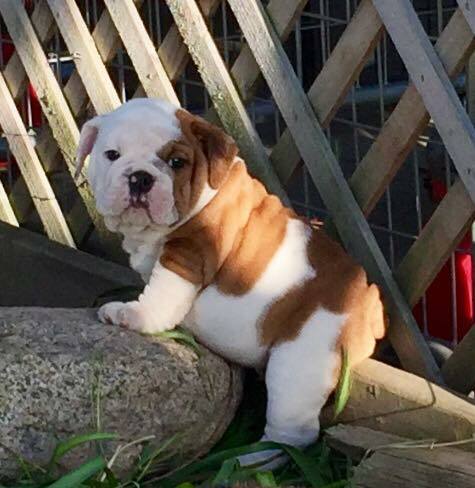 I have a great love and passion for Bulldogs, and for showing and breeding Bulldogs that are healthy, beautiful, smart, and athletic! 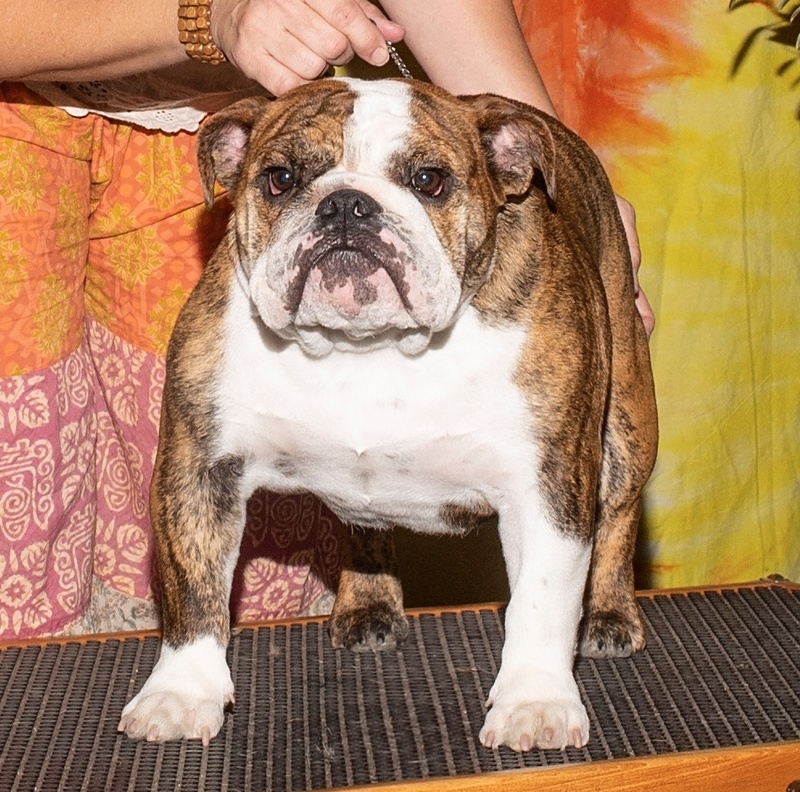 My goals are to show and breed Bulldogs according to the Bulldog Club of America Standard, and to share the Love of Bulldogs with others… there is nothing in the world quite like them! 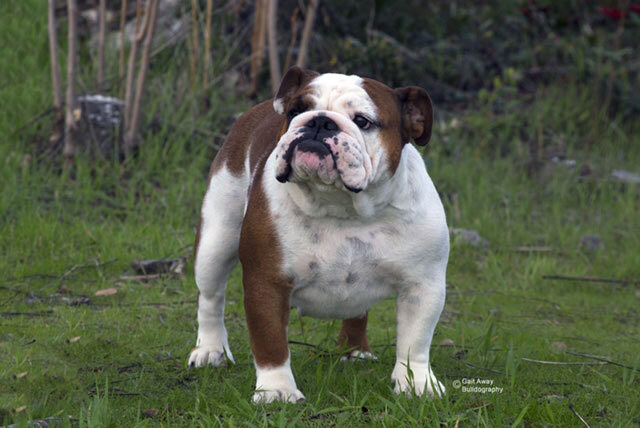 I am a member of the Bulldog Club of America and the Bulldog Club of Northern California. He then created the dog and with this new life He gave the dog His most treasured traits……Unending loyalty, trust, faith and unconditional Love.